URBN Center ANNEX at 3401 Filbert Street. How does design research create change in health, technology, and the environment? What are the leading-edge models of thought around creating change through design? Today, artists and designers are pursuing work and creative expression that push the boundaries of traditional disciplines requiring interdisciplinary collaborations, the mastery of new technologies, and intensive research to unearth new solutions to practical and aesthetic problems. Join The Drexel University Westphal College of Media Arts & Design for a symposium that examines the process of change and design through presentations by IBM, Cityhealth in Brooklyn, and Healthify in New York, and Ballinger, discussions, and poster presentations at the Westphal College’s award winning facility The URBN Center and The URBN Center Annex. Melanie Bella, from Cityblock in Brooklyn will discuss their innovative practice in healthcare and health funding. This talk will focus on the challenging current healthcare space and alternate views of funding and agencies. In addition, the speaker will examine the collaboration between state, city government, universities, hospitals, and other private entities. The break-out sessions will use design processes to innovate on this theme. Funded by Alphabet (Google’s VC funding arm) among others, City block fits into the Alphabet mission of unconventional successful practice in health and life sciences, and bringing new creative ideas to market. Using this groundbreaking organization as a model we will examine the next wave of change in breakout sessions following the talk. The panel will be exploring how we can change the health and human services system by addressing the whole community and using technology and design. Issues and questions related to Barriers to change; Immunity to change and opportunity to change health and health care. Drexel University Professor to speak on ground breaking functional fabrics and advanced manufacturing. Professor Dion now directs the Center for Functional Fabrics (CFF) at Drexel University and leads with the newly founded Pennsylvania Fabric Discovery Center (PA FDC). The PA FDC is a regional center affiliated with the Advanced Functional Fabrics of America Manufacturing Innovation Institute (AFFOA) located in Cambridge, MA, aimed at facilitating growth in the advanced fabric space. Her research group receives funding from NSF, NHI and Keck Futures and AFFOA. Fashion designers and fashion houses usually start conceptualizing and designing products for the new season six months to one year prior to the actual selling season–though in recent times this has been drastically reduced with the emergence of fast-fashion retailers. That’s why for most apparel retailers, and the fashion industry in general, knowing the trends customers would like to wear next season is extremely important. This talk will describe how modern AI based tools which can understand fashion images and articles can be used to provide a more data-driven approach for trend analysis and forecasting. Dr. Raykar will also describe some of our recent collaborations with various fashion designers. It takes 10 years to fully train a flavorist or master perfumer, through education and apprenticeship. Over their careers, each designer will produce 10s of thousands of formulas as trails, many with sensory results. We’ve created a system that, like a human apprentice, learns from the work of the masters. Unlike a human apprentice, the system can learn from 100s of thousands of formulas and sensory results created by many masters. The result is a system that can work collaboratively with a human designer to create novel fragrances and flavors that are predicted to have an appealing taste and/or fragrance. Cityblock is building a personalized health system that serves qualifying Medicaid or Medicare members, and others living in city neighborhoods that face barriers to good health. Cityblock was created with the simple idea that cities should be healthy places to live -- for everyone. Three trends motivated this: First, underserved populations living in the biggest cities have continued to have disproportionately poor health outcomes, with interventions coming much later and at a significantly higher cost than for other populations. Second, nearly all innovation efforts have been focused on people with means, despite urgent need in underserved lower-income communities. And finally, the business of healthcare has become increasingly transactional, leaving little room for meaningful relationships between patients and clinicians, driving increased dissatisfaction among both. Cityblock set out to challenge this status quo. Vikas C. Raykar works as a research scientist at IBM Research. An expert in machine learning he is currently focused on building machines that can understand natural language and images on par with humans. He finished his doctoral studies in the computer science department at the University of Maryland, College Park. He is also defining a roadmap for what can be done for the fashion industry, primarily leveraging deep image and text understanding together with other AI capabilities. Genevieve Dion is a Design Scientist with an extensive background in bespoke clothing and industrial design. Her design work is in the permanent collections of the DeYoung Museum in San Francisco and the Victoria and Albert Museum in London. At the core of her work Dion explores novel processes that allow the metamorphosis of planar materials into unique three-dimensional forms. Within this focus, her research team investigates modular production and mass customization of 3D knit fabrication for the development of seamlessly integrated fabric interfaces, "Textile and Garment Devices”. In 2012, Dion launched The Shima Seiki Haute Tech Lab (HTL) to conduct transdisciplinary research on functional fabrics. Dion was named one of Fast Company's Top 100 Most Creative People in Business in 2014 for her creative approach toward the design and fabrication of functional fabrics. She now directs the Center for Functional Fabrics (CFF) at Drexel University and leads with the newly founded Pennsylvania Fabric Discovery Center (PA FDC). The PA FDC is a regional center affiliated with the Advanced Functional Fabrics of America Manufacturing Innovation Institute (AFFOA) located in Cambridge, MA, aimed at facilitating growth in the advanced fabric space. Her research group receives funding from NSF, NHI and Keck Futures and AFFOA. Richard Goodwin is a Principal Researcher and manager at IBM’s T. J. Watson Research Center in Yorktown Heights NY where he leads the Computational Creativity Research Group. The group uses Artificial Intelligence to help product designers create innovative and better products more quickly. Dr Goodwin holds 24 patents and has published ~70 academic papers, including a Decision Science paper of the year. He has won the Wagner Prize in Operations Research and holds a PhD in artificial intelligence from Carnegie Mellon University. He is a member of the acclaimed IBM Academy of Technology. Kathleen Kingscott is Vice President, Strategic Partnerships for IBM Research. She is responsible for developing collaborative research partnerships between IBM, industry, academia and government. Ms. Kingscott is a member of the National Academy of Sciences Innovation Policy Forum and chairs the CTO Work Group of the Semiconductor Industry Association. She is a member of the Board of Managers of the American Institute of Physics Publishing and serves as co-chair of the Task Force on American Innovation, a coalition of companies, university associations and professional societies that supports federal investment in scientific research. Kathleen is a member of the Executive Committee of the Electronics Division of the National Defence Industrial Association. She served as a member of the U. S. Secretary of Commerce’s Manufacturing Council, 2015-2016. Drexel’s Westphal College of Media Arts & Design is a leading design and applied art school, ranked the fifth best-applied art and design school in the nation by College Factual and with top-ranked programs in Fashion Design, Interior Design and Architecture, Digital Media, and Product Design. The Westphal College Master’s program in Design Research draws upon the strengths of an outstanding faculty, superb facilities, and an extensive ongoing research portfolio. 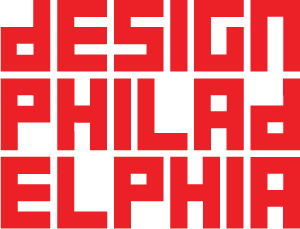 We invite you to learn more about Design Research at a free to the public symposium on Friday, October 12th being presented as part of this year’s DesignPhiladelphia Festival.